"An accident after experimenting with a couple of red velvet recipes evolved into an amaretto and cocoa delight. A mini Bundt® cake full of flavor, yet super light." Mix flour, hot cocoa mix, salt, and baking soda together in a bowl. Beat white sugar and 1 cup butter together in a separate bowl using an electric mixer until light and fluffy, 3 to 5 minutes. Beat in eggs, 1 at a time. Mix in 1 cup sour cream, milk, and 2 teaspoons vanilla extract. Beat flour mixture into sour cream mixture gradually, on low speed, until just blended. Spoon batter into 16 mini fluted tube pan molds (such as Bundt(R)), filling each 2/3 full. Bake in the preheated oven until a toothpick inserted in the center of a cake comes out clean, 20 to 25 minutes. Cool cakes in pans on a wire rack for 5 minutes. Remove from pans; cool completely before frosting, 10 to 15 minutes. Beat cream cheese, 1/4 cup butter, 2 tablespoons sour cream, and 2 teaspoons vanilla extract in a bowl using an electric mixer until light and fluffy, 3 to 5 minutes. 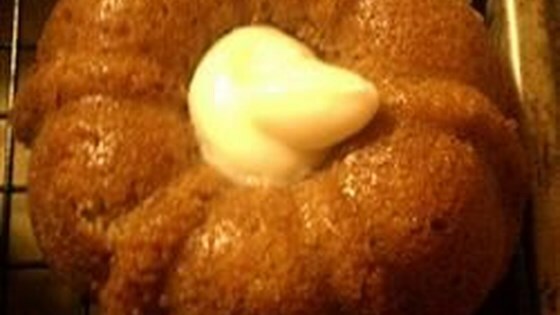 Add confectioners' sugar gradually; beat frosting until smooth. Frost the cooled cakes.